The nightshade family (Solanaceae) is rich with flowering plants, many of which have an increased allure in popular culture due to their toxicity. The alkaloids in many species in the Solanaceae family can cause symptoms ranging from visual hallucinations to nerve damage and even death. The nightshade family also produces important agricultural products such as eggplants, potatoes and tomatoes, making the Solanaceae family a fascinating example of duality in the natural world. The mandrake (Mandragora officinarum), also referred to as Satan's apple, is a flowering plant known for its strange, bulbous root, which often resembles a human figure. Mandrakes contain hallucinogenic tropane alkaloids that can cause hallucinations. Prepared mandrake has been used as a painkiller and a sleep inducer, though the plant is poisonous if ingested raw. The plant is native to Southern and Central Europe, as well as certain regions by the Mediterranean sea. The plant produces deep purple or mauve and white flowers. Jimson weed (Datura stramonium) is a desert plant that can be found in sandy soils throughout all of the four deserts of the American Southwest. The sprawling perennial can often be seen along highways and roadsides. 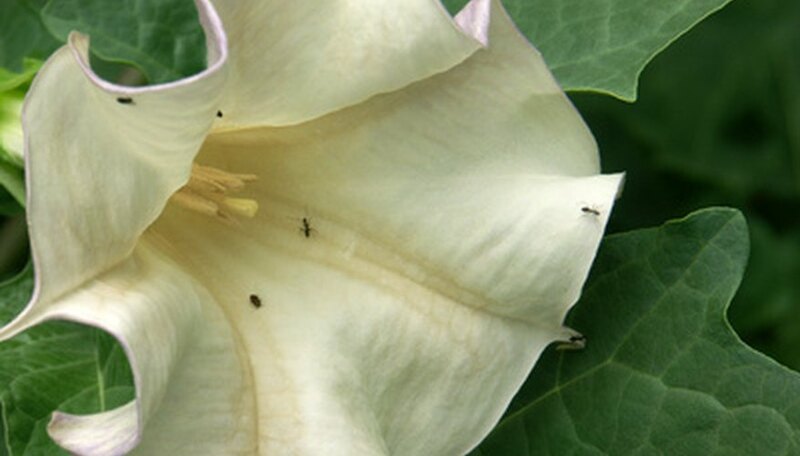 Jimson weed blooms from early spring until late fall with white trumpet flowers. The flowers of the plant only open after dusk, and they close in the morning. Native Americans of the Southwest have traditionally used the jimson weed in ceremonies for its hallucinogenic alkaloids. 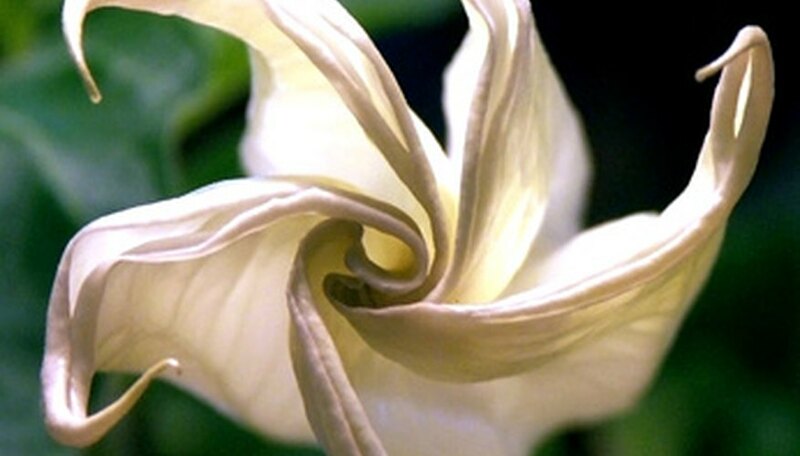 Jimson weed is highly toxic, however, and the plant can be fatal if ingested. Deadly nightshade (Atropa belladonna) is the most infamous toxic plant of the Nightshade family. The flowering perennial is native to Europe, parts of Asia and North Africa. Deadly Nightshade has bell-shaped, greenish-purple blooms that give way to shiny black berries. The entire plant contains highly toxic tropane alkaloids, with the roots believed to be the most toxic part of the plant. Ingesting even a handful of berries from a deadly nightshade plant can result in nervous shock, memory loss and death. What Flowers Can I Plant in My Garden for My Tortoise?